Training for a marathon takes a great deal of time and dedication. Runners have to train on a consistent basis, working the body and the mind, preparing for the long race. One way that runners can assist in their training efforts is to schedule a pre-marathon massage. Massage therapy for marathon training can prepare the body for the event by creating a renewed sense of energy. The massage therapists at Academy Massage are trained in pre- and post-event stretching techniques which will help prevent injury and reduce recovery time. If you have never had a pre-event massage before, it is important to test the treatment. Some runners prefer a deep tissue massage before the big race, working every muscle and tendon in the body. Others will prefer a lighter touch, as a way of relaxing the body fully before the race day. The end goal is to come out of the massage feeling refreshed, renewed and light on your feet – ready to tackle the big event. Similar to the amount of pressure during the massage therapy treatment, the focus of the massage will be dependent on the individual’s preference. Some runners want to work on stretching and making the muscles more pliable, so they will be ready to work properly during the marathon. Others may want work focused on certain muscles, if they are tight due to being overworked during training for the race. When race day has come and gone, many marathon runners enjoy post-event massage. After running a marathon, your body needs rest and to be restored. 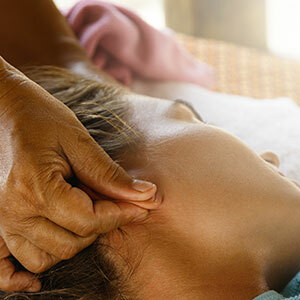 Massage Therapy treatment can provide a form of recovery helping to decrease soreness, stretch tight or constrained muscles and give overall relief to tired muscles. With the Manitoba Marathon just a month away, consider how massage therapy could be incorporated into your training routine. 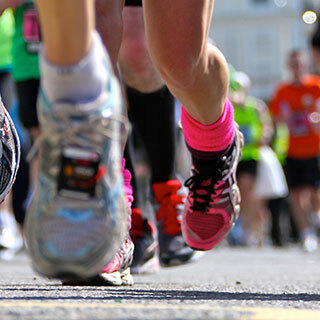 Academy Massage offers quality massage options that can be of benefit to marathon runners – contact us today to learn more!